I love my job. It’s exhausting and busy and limits my social life, but I still love it! I work with children and youth and their families, for a church, so every day is different and there are always challenges and always rewards 🙂 I figured it might be interesting to do a new little feature – ‘My Job in Pictures’. Every Monday (or thereabouts), I’ll choose two snaps of what I’ve been getting up to. 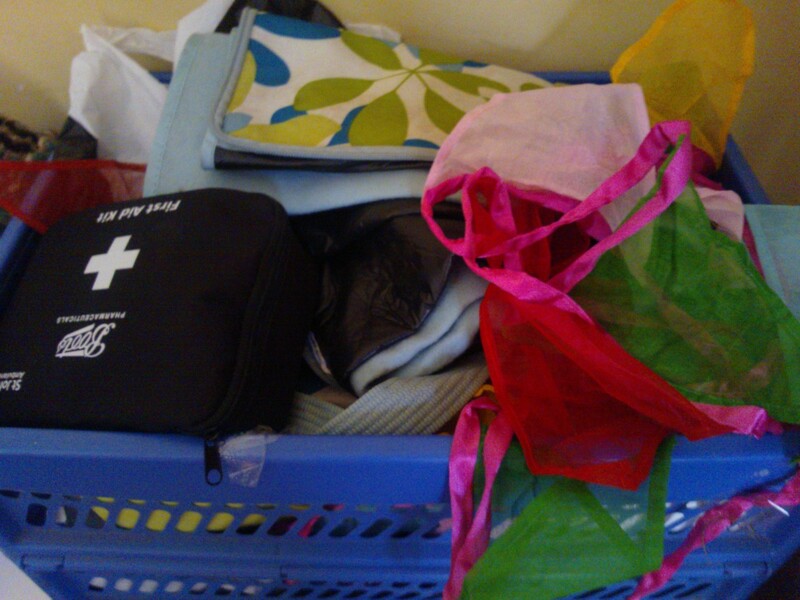 This is my ‘ready to go’ box of BBQ/Picnic/Day Trip bits and pieces – bunting, picnic blankets, plastic cups, first aid kit… I suppose I am pretty lucky to count these items among my work equipment! On Friday I took some of our youth group down to Brighton. 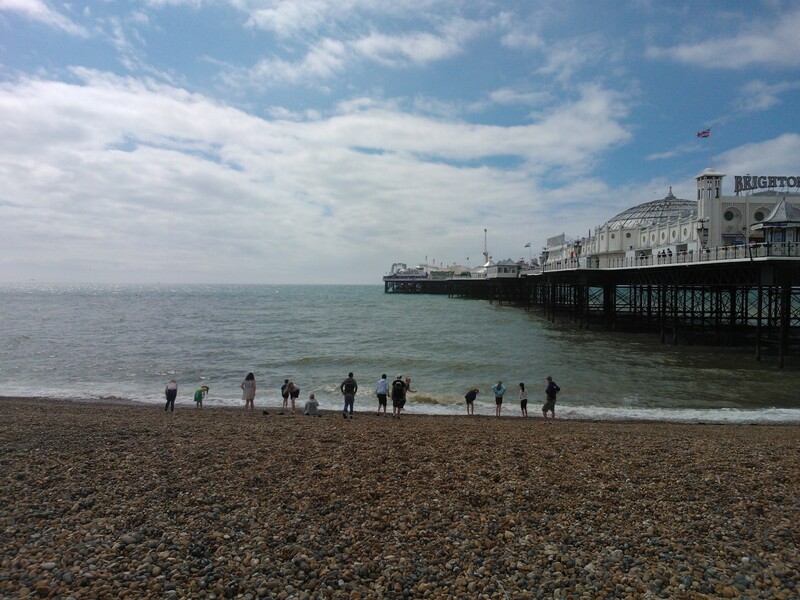 The sun came out as we arrived on the beach and we all got stuck in to paddling, ice creams, rides and souvenir shopping 🙂 Already making plans for next year’s trip to Hayling Island!